Dedicated to celebrating excellence and supporting education in the theatre, the American Theatre Wing has been an integral and influential part of the theatrical community for 100 years. 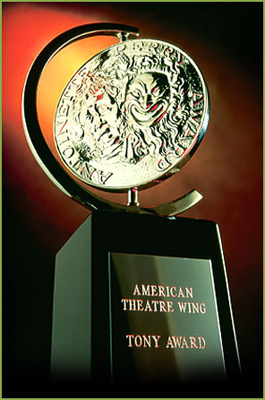 Best known for creating The Antoinette Perry “Tony” Awards®, now presented with The Broadway League, the Wing has developed the best-known national platform for the recognition of theatrical achievement on Broadway. Yet their reach extends beyond Broadway and beyond New York. The Wing is now in a long-term partnership with The Village Voice to co-present The Obie Awards, off-Broadway’s Highest Honor. Through the Wing’s grants programs, they provide crucial financial support to artists and theater companies all over the United States. They also provide unparalleled resources to theater lovers all over the world through one-of-a-kind original programming and the largest online media archive preserving the history and culture of American theatre, all available for free on their website. In celebration of their Centennial anniversary, the book American Theatre Wing, An Oral History: 100 Years, 100 Voices, 100 Million Miracles, edited by Patrick Pacheco, details the Wing’s storied history as told to him by artists such as Angela Lansbury, Rosie O’Donnell, Patti LuPone, Audra McDonald, Harold Prince, Kenny Leon, Neil Patrick Harris, David Henry Hwang, Harvey Fierstein, James Corden, and countless others. The book is now available from booksellers.